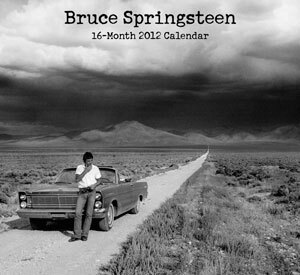 The official Bruce Springsteen calendar for 2012, now 2/3 off! 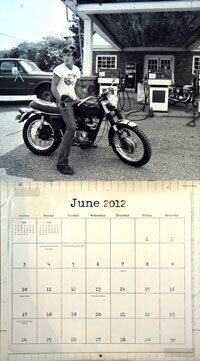 This 16-month calendar from Thrill Hill Productions begins with September 2011, so you can start using it right away. This one carries forward the look and feel of The Promise, with striking and rare black-and-white photographs of Springsteen and the E Street Band from the Darkness era. 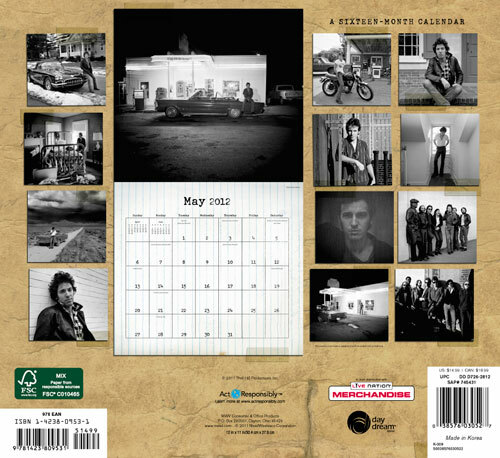 Each month of 2012 has a large (12" x 12") picture, a balanced mix of images from Darkness cover photographer Frank Stefanko and Born to Run cover photographer Eric Meola. Like previous Thrill Hill calendars, this Bruce-licensed 2012 model is high quality on glossy stock and very useful, with space to write for each date and major holidays marked, all with the aesthetic of BruceÕs Darkness notebook from The Promise. Probably the best-looking calendar theyÕve done yet -- a perfect holiday gift.